There have been rumors of Henry Cavill suiting up again for Man of Steel 2 swirling for months and now, the actor has revealed that there have been a lot of discussions and noted that he had some ideas for the sequel. Justice League and Batman v Superman took the Superman character down a path that many DC fans were not really too pleased about, mostly commenting on the darker tone. It appears that Henry Cavill feels the same way about the character and wants to reprise his role. In a new interview from the red carpet at CinemaCon, Henry Cavill discussed that possibility of Man of Steel 2, and it seems that he really wants to make it happen. While nothing was officially confirmed, Cavill has expressed interest in coming back to the DCEU. Basically, even though there have been some talks, there need to be a lot more, as Cavill explains. "I'm having a lot of conversations, behind-the-scenes, with certain people and we will hopefully be having conversations with other people who are also behind-the-scenes to make things start happening. It is very much in my desire to do a Man of Steel 2, a direct sequel to Man of Steel, and there is a whole bunch of Superman story that I want to tell. There is a whole style of Superman's character that I'm very keen to tell and I'm looking forward to the opportunity." There were talks of multiple Superman movies at the DCEU, connecting everything together, but the troubles behind-the-scenes with Justice League seemed to have stalled everything. Warner Bros. and DC Films appear to be distancing themselves from the connected universe and looking towards the standalone films at this time. However, fan interest in Man of Steel 2 is there, with many looking daily for an update. So, it's good to see that Henry Cavill is talking about the sequel again. As for Henry Cavill's contract with the DCEU, the actor was less forthcoming about that information. When asked, he reportedly looked off in the distance to someone, almost checking to see if it was wise to answer the question. While he didn't address the question head on, he noted that he is willing to play Superman, no matter how many films are on his contract, which sounds promising and makes it seem like it's all logistics that need to be figured out behind-the-scenes at Warner Bros. and DC Films before anything starts to take shape. Henry Cavill's portrayal of Superman in Justice League received praise, but many fans and critics couldn't get past the terrible CGI mustache removal that was present through many of his scenes. 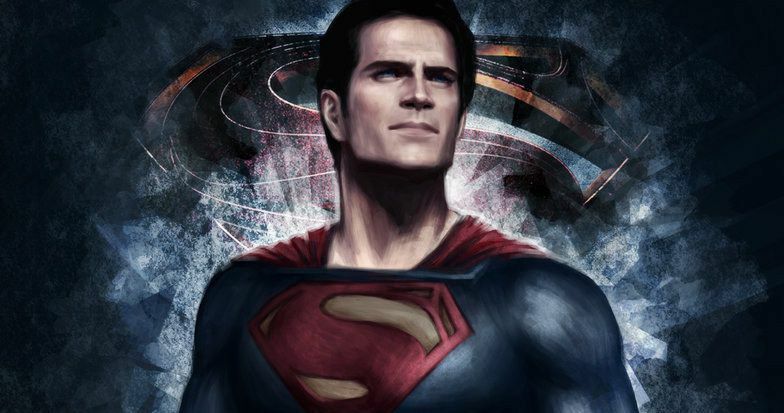 It would be nice to see Man of Steel 2 happen and redeem the character that so many fans have been waiting to see again. As for now, nothing has been officially confirmed for Man of Steel 2, but you can read the rest of the interview with Henry Cavill at Collider.